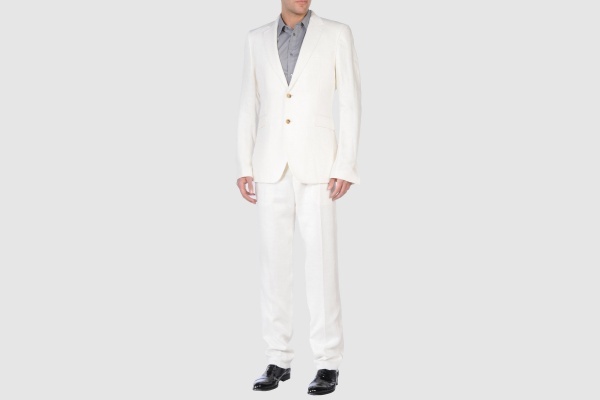 Costume National Homme is ready for the summer with this white linen suit, a favorite in the hot weather. A charming two button, notched lapel piece that’s sure to be a hit with our readers in the hotter parts of the world, you can check the suit out online here. This entry was posted in Suits and tagged Costume National, Costume National Homme, Suit. Bookmark the permalink.